The vacuum moulding or deep drawing technology used by us has many applications, e.g. in the seating furniture industry, in mechanical engineering, in caravans or in sales display systems. 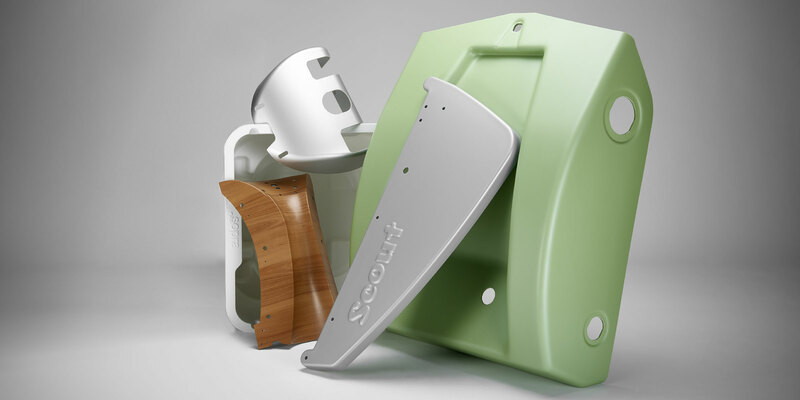 The customised design of the products in combination with low tooling costs is a significant benefit. State-of-the-art CNC machining centres ensure a high degree of accuracy in terms of measurements in the finishing process. We offer proficient advice in the area of development and design engineering as part of our services, which is based on many years of experience. Existing CAD data in common formats can be adopted and used for building the tools. The plastics used are environmentally friendly, recyclable and suited to the specific products, if required, UV- and weather-resistant materials can also be processed. A variety of surface textures, surfaces with a metal or wood look, or even flocked materials offer a wide scope for design and creativity.